Increasing enrollment demanded an increase in instructional areas for the Academy’s three separate schools. The new 18,000 s.f. 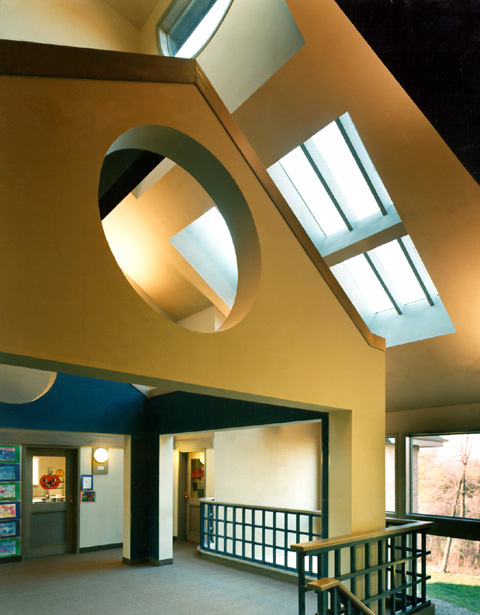 Lower School incorporates exciting geometric shapes to create interesting classrooms that are conducive to learning for young children. Specialty rooms include an informal storytelling area and a multi-purpose room. The Middle School was created from the renovation of a 21,500 s.f. bowling alley. It features classrooms, science labs, and a media center. The Upper School received a 15,000 s.f. addition plus 5,000 s.f. of remodeled space including a new gymnasium and cafeteria. Currently, MHA is working on a Master Plan for an additional 22 acres of athletic fields and expansion of all existing buildings.